Minecraft was released in 2009 and since then has been updated constantly. Updates have added new worlds, new creatures, modding tools and more. But finally, after 10 years of waiting, Minecraft finally has composting. Fans had already created mods adding their own custom composter blocks into the game, like this mod added last year. But now composting is part of the vanilla Minecraft experience. While the new composting block is useful for turning excess crops into bone meal, players are also using the new block for decorations purposes. 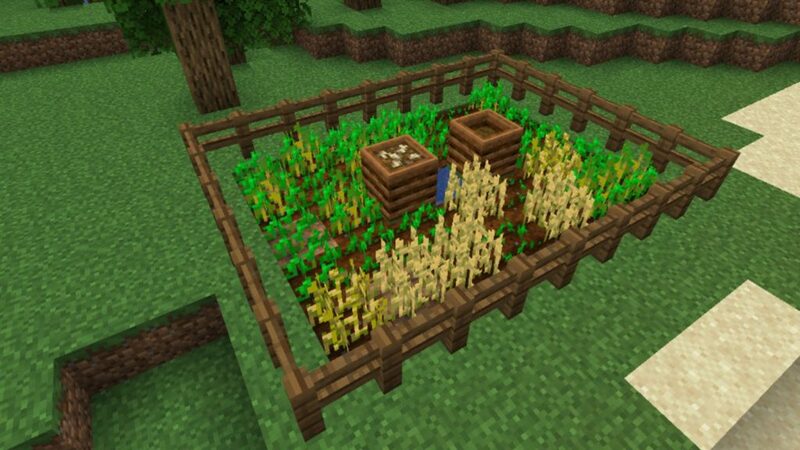 Some Minecraft fans think they look like bee hives and are using the compost blocks as fake bee hives. Currently, if you want to do some composting yourself, you’ll need to play the Java version of Minecraft and activate snapshots in the Minecraft launcher. Though like most snapshot features, these compost blocks will be added to other versions of the game eventually.